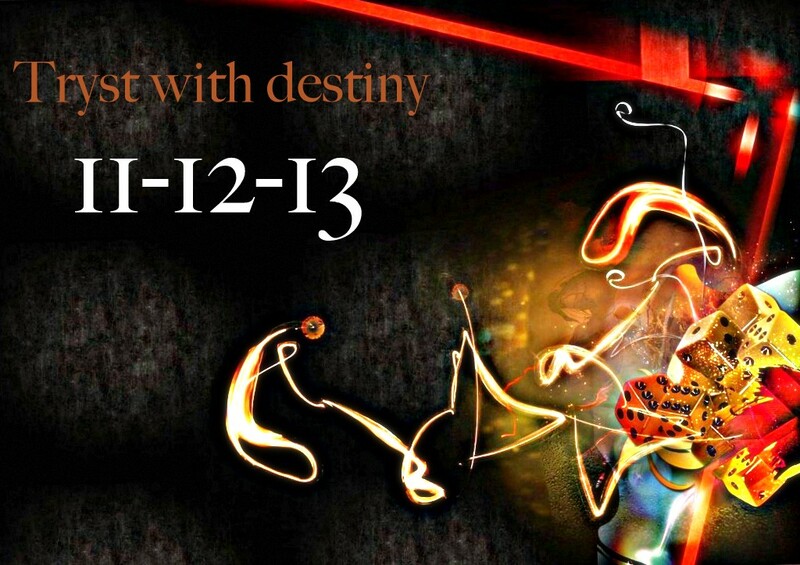 Today’s date 11/12/13 will be appearing for the last time during this century. World over, the astrologers, numerologists and forecast people predicted today as an auspicious date. However, as per the principle of Vedic Numerology, occurrence of any number more than 3 times, becomes less effective and hampers the positive qualities of planets respectively. Date 11 – The number 11 is the master number in Numerology which cannot be reduced. This number is ruled by double power of life saving planet “Sun” and further ruled by lord “Vishnuji”. Month 12 – In this combination; 1 is ruled by Sun and 2 by Moon, giving 3 as a total number that is ruled by Jupiter. In astrology, if Sun and Moon jointly sit in any horoscope, an eclipse is formed making it inauspicious. Year 2013 – 2 is ruled by Moon, 0 is ruled by Saturn, 1 is ruled by Sun and 3 is ruled by Jupiter. (B) : 2013 (year)+0012 (Month) + 0011 (Date) = 2036 =2+0+3+6= 11; again 11 appears second time. According to Hindu Panchang, today’s tithi will be 10 (Dashmi), which further reduces to 1. Major planets involved are- Sun, Moon, Jupiter, and Saturn for the date 11/12/2013. Since number 1 is appearing 6 times as per Numerology and 7 times as per Hindu Panchang. Often this date is auspicious, recommended by most of the Numerologists and astrologers, but caution must be observed to perform any auspicious activity today. Who should be concerned the most? Sun has great significance and occupies the central place amongst the Navagrahas. If the sun is malefic in anyone’s kundali, the individual will be affected by the Karkatawas of Sun like – heart problems, eye diseases, stomach diseases, Bones diseases, loss of position etc. Contact http://www.shubhpuja.com (+91 801 022 3300 or contact@shubhpuja.com) if you would like to consult our expert numerologist to find out what your planetary positions say. This entry was posted in Consultants.